The 12-step approach to recovery can be very effective, but it is not something that seems to work for everyone. You may find that another path is more suitable for helping you build a strong sobriety. This does not mean that you cannot benefit from some of the tools offered by Alcoholics Anonymous; in fact, one of the principles of this group is that you can take what you need and leave the rest. In the following paragraphs, we list 10 important AA lessons about recovery that may be of benefit to anyone trying to live a life free from addiction. The idea of living without alcohol for the rest of your life may be too much to handle. The good news is that you do not need to quit for the rest of your life, you only need not drink for 24-hours at a time. The idea of not drinking ‘just for today’ is far more manageable; in early recovery you may even benefit from breaking this down to ‘just for another hour’. The ‘one day at a time’ approach applies to everything because if you spend too much time worrying about the future, it will make it hard to get the most out of today. The fact that many are willing to do so much work free keeps AA alive, but there are also many benefits for those providing this effort. It is now well understood that this type of work can really strengthen a person’s sobriety and this is because it boosts self-esteem, self-confidence, and gives them the satisfaction of giving something back. 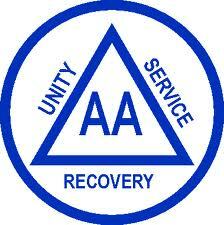 You do not need to be a member of AA to earn the benefits of service. Doing any type of volunteer work can bring similar rewards, so this is highly recommended as a means of strengthening your recovery. The serenity prayer was actually written by Reinhold Niebuhr and was adopted by AA because it so clearly details important elements of the 12-Step programme. There is a great deal of wisdom in this short prayer and you do not need to be religious or a member of AA to benefit from it. It is important in recovery to choose your battles carefully. If you waste time trying to change things that are beyond your control then it will just lead to disillusionment and depression. There are some things you will just have to accept (for example, there is not point wasting time getting upset because of the weather). In recovery, you need to figure out the things you can change and which ones you just have to learn to accept – this takes a little wisdom. Rule 62 is the recommendation that you do not take life (or yourself) too seriously. This advice is necessary because so many individuals fall into the trap of treating recovery as if it were an ordeal. Life is to be enjoyed, but you cannot do this if you take things too seriously. Try to lighten up a little and have some fun. The reality is that self-pity is a luxury that most recovering from alcoholism just cannot afford. This is because it can so easily be used for justification to relapse. It is understandable that people are going to feel bad when things do not go their way – this is just human nature; the problem is that some will tend to wallow in these bad feelings. If things go wrong in recovery, you need to get back on your feet as soon as possible. This is usually easier to achieve with the help of some supportive friends and a positive attitude. Remember that failures in life are often necessary to find the right path to success. If you take on too much in early recovery then you are likely to be overwhelmed; this will then weaken your resolve to remain sober. ‘First things first’ means that you make sobriety your number one priority, then addressing anything else in order of importance. It will not be possible for you to fix your life in one day – or even one year. You do not have to become a perfect person to enjoy the benefits of sobriety. It is vital that you have realistic expectations for yourself, meaning that your aim is to make progress and not to become perfect. It is common for alcoholics to be full of self-hatred, which can then follow them into recovery; they can use the fact they are not perfect as an excuse to beat themselves up. You need to keep in mind that so long as you are sober and making improvements to your life, you are doing really well. If you fly with crows, you’ll get shot at. The message here is that you need to be careful to surround yourself with the right people in recovery. It is sometimes said that an individual tends to become the average of the five people he or she spends most of the time with. In order to build a strong recovery, it is important that you spend time with those who already have what you want. It is also vital that you avoid the ones who are still drinking or have a negative attitude towards recovery. It might sound a bit strange that a recovery programme would be advising members to ‘fake it’ – after all, is recovery not all about living a more honest life? The reality is that the ‘fake it to make it’ advice is not about trying to get individuals to behave dishonestly. It is all about avoiding a self-fulfilling prophecy; if you believe you are going to fail in recovery, you probably will. Faking it to make it means you act as if you are going to succeed, so by doing this you create the conditions for your success. Old-timers in AA sometimes warn newcomers that ‘beneath every dress is a slip’. What this means is that starting a sexual or romantic relationship in early recovery can lead to disastrous consequences. If you are newly sober, you need to be able to fully focus on getting a better – a new relationship would be too much of a distraction, with a risk of relapse if things do not work out. It is usually recommended avoiding any type of new romantic relationship for at least the first year in recovery; of course, this does not apply if you are already in a relationship.